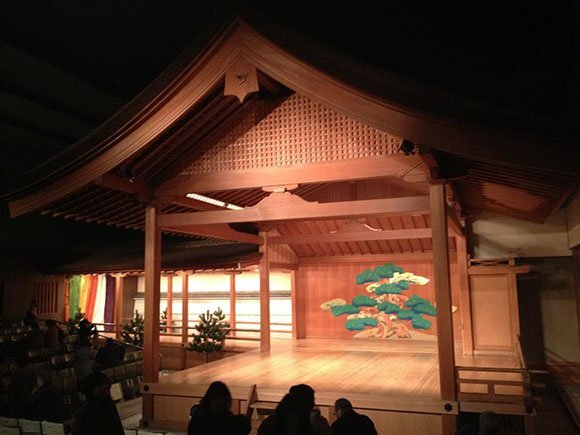 Located just over the canal from the Kyoto National Museum of Modern Art, the Kyoto Kanze Kaikan Noh Theater is an extremely popular spot with visitors from around the world who are keen to experience a taste of authentic Japanese culture and who are interested in this unusual Japanese art form. Noh is one of the most well known kinds of Japanese classical musical stage performance, and has a history which dates back to the 14th century. The majority of characters wear a white mask and the stories are generally based on the country’s historical plays, all acted out on a bare theater stage. Similar to the well known Kabuki form of theater, Noh theater is not so dramatic, although the performances are equally long. The plays consist of several acts, each of which is interspersed with a type of comedy called Kyogen. This theater was renovated a couple of years ago and is now officially known as the ROHM Theater Kyoto. The building is striking and modernist, with three multifunctional halls and a main hall with 2000 seats where events as diverse as comedy and international ballet are performed as well as the traditional Noh style of dance drama.